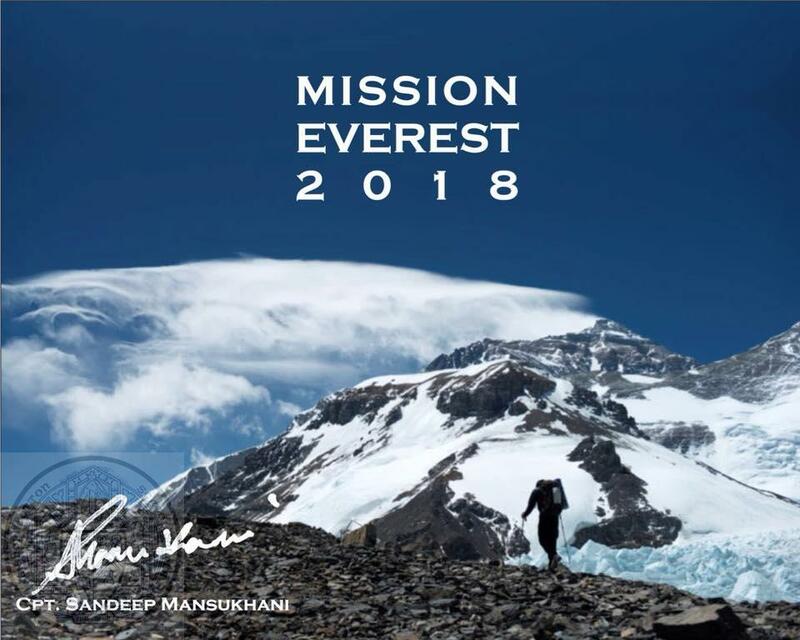 With His grace weather seems favourable and Capt Sandeep Mansukhani along with his team dressed up in their downsuits left for Camp 3( 7,200m /23,625ft) which is perched on a steep icy slope high up on Lhotse Face under threatening ice seracs. After icefall, Lhotse Face is the most famous and dangerous of Everest because of high chance of avalanches and constantly falling rocks. It is climb of about 2500ft on a slope ranging 45-80 degree. The incline is icy and at every anchor point there is a drill for changing over to next length of rope. It makes the ascent slow and there is no chance of mistake. They have climbed just few metres of sheer Lhotse during their acclimatisation rotations. So today he has finally entered the environment where he might have started taking supplement oxygen. ( No report about that yet). Just had a word with head Sherpa and got to know that team reached camp 3 at around 1300 hrs. The position of camp 3 is such that you can’t step out of the tent unroped because one slip and you will fall to the very bottom of the mountain. Here camps are also shared with other climbers with oxygen cylinders fixed around you. So you barely get some sleep deteriorating your body and mind further. Now is the time to get more focused …..very very focused. Dear all, I hope information and pictures shared by Sandeep ji will surely give you a glimpse of this majestic mountain and how Capt is taking every single step forward to live his dream and make us all proud. Well done. All success to the summit in your final push. Our thoughts and prayers are with you on this Royal Wedding day in London. Best wishes Harsimran and Capt Sandeep. God bless.